YouTube announces new features including Fan Funding and a Creator Studio app. Facebook adds multi-product ads. These stories, and more, in today's Morning Social Media Newsfeed. 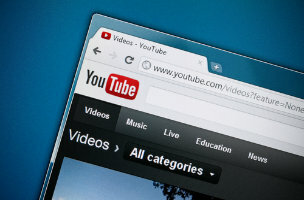 YouTube has unveiled a series of new features for its content creators as it seeks to boost their business on the video site, in turn drumming up more engagement and stickiness on the platform. A Creator Studio app is now live for Android and launching on iOS in the “coming weeks” while there will also be a redesign of Creator Studio on desktop. Mashable Speaking before hundreds of YouTube creators at the afternoon keynote — her first Vidcon since becoming CEO of YouTube more than five months ago — Wojcicki first announced “Fan Subtitles,” a crowd-sourced translation effort that encourages bi-lingual users to type in subtitles for their favorite videos. “Our goal is to make it that every video uploaded to YouTube will be available in every language,” she said of the opt-in feature. TechCrunch For the creative community, the keynote was largely a preview into the future, as YouTube director of product management for creators Matthew Glotzbach and VP of engineering for creators Oliver Heckmann showcased features that would mostly be considered “coming soon.” That decision to preview upcoming changes was intentional, as YouTube creators have consistently asked for more transparency around upcoming changes to the platform. The Guardian YouTube Fan Funding will be tested soon with a limited number of channels in the U.S., Mexico, Japan and Australia, with YouTubers in those countries able to apply for a space on the test scheme. “Fans will be able to contribute money to support your channel at any time, for any reason,” explained a blog post by Glotzbach and Heckmann following its announcement at the VidCon conference in Anaheim. Adweek YouTube is building on the Music Library feature it launched last year by adding a collection of 2,000 sound effects — including 42 different versions of farts — which is available now. The company hopes to allow users to submit their own clips in the future and to expand the number of offerings. Facebook is beefing up its custom audiences ad-targeting options, adding multi-product ads, which allow brands to feature three products within a single ad unit, as well as enhancements to custom audiences for websites. The social network offered more details on multi-product ads in a post on its Facebook for Business page. Recently, the folks at Buffer have been releasing features to help users discover content. Last month it was the feeds and suggestions. Thursday, Buffer released Daily, a new app designed to enable content discovery and sharing. Twitter says it has counted more than 300 million tweets about the World Cup during its first 15 days. By way of comparison, it counted 160 million tweets during the 16 days of the London Olympics in 2012. Amazon Prime is going independent. The streaming content arm of Amazon.com and independent content distributor Cinedigm have agreed to an exclusive licensing agreement giving Amazon streaming rights to several independent films distributed by Drafthouse Films. Facebook’s $2 billion deal to buy virtual reality pioneer Oculus VR brings the promise of new technologies that literally change how people see the world. But the acquisition of the headset maker, expected to be completed in coming weeks, is also giving Facebook some headaches.